I’ve been playing the electric twelve-string guitars professionally for the last 16 years in my band The Carpet Frogs. Guitar players have often complimented me on the tone of my electric 12 string and have asked me how I get that “authentic” sound! For me, it all started with the two Godfathers of the electric 12 string: George Harrison of the Beatles and Roger McGuinn of The Byrds. Obviously, the first ingredient is a great 12 string. The Granddaddy of them all is the Rickenbacker 12 string. Ricks have been handmade in the same factory in Santa Ana, California for many years and if you can find a dealer that sells and stocks Rickenbacker, you will pay thousands of dollars and you may end up waiting many months for the model of your dreams. I waited 8 months for my 360/12 Old Style when I bought it in 1990. If you play in a weekend band or jam with your friends, you may find that the electric 12 string, once you have done all of the mandatory Beatles, Byrds, Animals, Who, Tom Petty, R.E.M., and Smiths tunes, has a rather limited use for the rest of your repertoire. Or, maybe not. If you’re like me, you’d happily play the electric 12 all night! Crank up the input gain, compress the bejeezuz out of your 12 string and jangle away! Tone Secret Number One: Compression! George Harrison’s great 12 string tone came from a combination of three things: his matchless technique, the venerable Vox AC 30, and the Altec limiter that was in the Abbey Road studios. The Vox, with its all-tube EL 84 platform and its GZ34 rectifier gives any guitar that creamy, brown, compression sustain and chime but it really sparkles when you play an electric12 through it. The Altec limiter is an old tube-type studio compressor/limiter that squishes the sound at the mixing console and simply enhanced the sound of those old AC 30’s. Roger McGuinn of The Byrds has said that his tone came from recording his Rickenbacker directly into the console and running it through not one, but two Pultec Limiters at the same time! Listen to the opening figure of “Mr.Tambourine Man” and you’ll hear those compressors squeezing away! Now I know many of you don’t have George’s or Roger’s technique (neither do I), or access to old AC 30’s (that can cost upwards of $5,000 for collectible examples) or old pieces of studio gear like Altec or Pultec limiters, but you can achieve the same effect with a good quality stomp box compressor. My personal favourite is the Diamond Compressor made here in Canada but any good compressor will do: Keely, Ross, Analog Man, Barber, MXR DynaComp, and the old standby BOSS CS-2 or 3. Tone Secret Number Two: Flatwounds! I discovered this Tone Secret the day I got my Rickenbacker 12. I had played other makes of electric 12’s before but they had never produced “that sound” that my Rick had. What was different about it? The single coil pickups that come standard on a Rick? The way Rickenbacker arranged the strings with the root string on top and the octave string underneath? Both of these things had an influence on the way it sounded but the most important difference to me was the strings. They were not round wound like 99% of the strings that are on the market these days: they were flat wound! Back when George and Roger were young men (1964), and before the late Ernie Ball started making round wound light gauge guitar strings in California, almost everybody played flat wound strings – that’s what was widely popular and available at the time. Round wounds were available but it wasn’t until The Shadows made them popular that there was a demand for them in Europe. The best flat wound strings in the world came from Germany (and still do) and were sold under the brand names of Pyramid and Thomastik. Rickenbacker in California was buying Pyramids from Germany at the time (presumably because of the relationship they enjoyed with West German music retailers who were selling Rickenbacker guitars) so that was the string that was being installed on Rickenbackers from the California factory in early ’63 and ’64. So, the sound you hear on Beatles, Byrds, and The Who recordings – those are flat wound strings! The great Pete Townsend refers to them as “tape wound”. He won’t play his 12 string with anything else but! Pyramid strings are still available to this day (you can find them on the Internet) and Rickenbacker still sells their Number 95404 Compressed Medium Round Wound. (ground wound) set for about $20.00 a set. I buy them by the box of 12 from a store in New York. I prefer the Rick strings: just a tad brighter than Pyramids. Round wound strings on an electric 12 string sound like doo-doo. Too crashy and too clangy. Flat wounds or ground round wounds are the way to go if you want “that sound”. If you can’t find Rickenbacker strings where you live, your local music store probably sells or can order D’Addario Chrome singles in a flat wound with which you can assemble your own 12 string set. Tone Secret Number Three: Use a light gauge pick! Try it! It works! A medium is too stiff and , in my opinion, “sends” too much signal to the pickup. I have found that with a light gauge pick, you can strum harder but still have a sound that doesn’t break up from string distortion (over strumming). That kind of vibe (string distortion) works great for, say, a PRS through a Dual Rectifier but not for the sweet chimey strings on your 12 string. I keep a medium and a thin pick in my back pocket whenever I’m on stage depending on whether it’s a 12 string song or a 6 string song. The great Colin Cripps of Hamilton, Ontario, revealed this Tone Secret to me many years ago. Colin is the guitar player/composer/producer of bands like Crash Vegas, Junkhouse, The Jim Cuddy Band, and Kathleen Edwards. Tone Secret Number Four: Get your 12-string set up! Find yourself a good guitar technician and get him or her to set up your 12 string. The #1 complaint I hear from new 12 string players is that they put the guitar down because it’s too difficult to play. The 12 string, by its design, is a different and difficult instrument to play because basically you are stuffing 12 strings into the same real estate as 6 strings. Players with small hands (like me) don’t find a problem especially with Rickenbackers, which have notoriously narrow necks. A good guitar tech will straighten the neck as well as it can possibly can be – this is really important. He/she may also suggest that the frets be “dressed”, polished and leveled. This will benefit your 12 string and make it very playable. Ask him/her to set the action as low as possible – this is really important! Another innovation that Rickenbacker has developed is the 12 saddle tuneomatic bridge, which ensures near-perfect intonation. If your 12 string doesn’t have one, don’t despair. Any good guitar tech worth his or her salt will get your 12 string intonated as close as it can possibly be even if you have a 6 saddle bridge – very important if you want those big jangly chords to be as sweetly in tune as they should be. A well-set electric 12 string should play like a brand new PRS or (insert your favourite guitar brand here). If it doesn’t, find yourself a new guitar tech! As a professional musician – yes, I’ve got the Vintage AC-30 and the Ricky 12 – hard to see it any other way. However, there is a price to pay for perfection, and therefor II recommend to my guitar-playing friends who jam for fun, to buy an electric 12 that’s a little more affordable than a Rick. There aren’t many electric 12 strings on the market these days but a few models by Eastwood fit the bill very nicely, such as the Eastwood Nashville 12 (discontinued) or the Classic 12. Mike Robinson from Eastwood consulted with me prior to the development of the Nashville 12. We discussed a variety of options and settled on this style as is was possible to achieve the tone (mini-humbukers) and setup (flat neck, low action) that would make it a “professional” grade instrument at an affordable price. Last month I visited Eastwood Guitars and took the prototype for a test drive. Two big thumbs up…… jangle away! I have a Rickenbacker 370-RM 12-string with three pickups. I run mine through what is known as “Janglebox.” Roger McGuinn uses them all the time an enhanced jangle sound. As a matter of fact he occasionally runs through two. They sell by janglebox.com for about $240.00 total. Thanks for this info. Very useful (and not too obvious) insights into the mystery of the electric 12-string. I’ve been looking for one for quite some time, the Nashville that you mentioned looks like my cup o’ tea. Here are a couple of others that aren’t as popular but have the right buzz. Robin Lane and The Chartbusters – Don’t Cry, When Things Go Wrong. Thanks for this fine article! I listened to the Byrds and the Beatles, but really got into electric 12 after hearing Robyn Hitchcock (check out I Often Dream of Trains). Turns out Robyn’s playing also influenced REM’s Peter Buck. 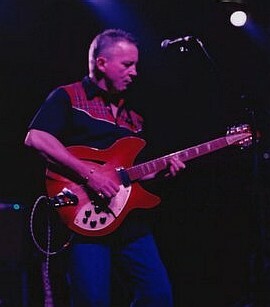 I had a Rickenbacker 12 in the ’80s, but had to sell it after years of struggle with it’s small size. My hands are just too big. Plus… I could never get the G strings to be in tune on that guitar (must have been my touch). I can’t locate the Ric Flats for 12 string but can get a set of pyramids but they come either with a flat core or a round core. Which do you recommend? Hi-I’m a little late to the game here but have been geeking out on 12-string guitars for some time now. Another major thing worth noting that distinguishes Rickenbackers in particular from other 12-strings — probably the most important one — is that they’re strung differently. Octave strings are underneath the low strings instead of above. If you want to hear the difference, listen to the Zombies or Troggs (using Burns 12s) versus the Byrds or Beau Brummels (using Rickenbackers). Wally brings the Ric in only on the choruses and you really hear it’s presence. Thanks for the great info. Just ordered a Dean Boca 12. Will probably do some mods after I get it. Check out the not-so-traditional use of the electric 12 string by Steve Howe on the Yes song Awaken, 1977.
hi anyone out there in the UK wishing to swop my Rickenbacker 330 6 string for a Rickenbacker 12 string ? Surprised you cited what you did for the Beatles. There are better choices, e.g., “You Can’t Do That,” “I Call your Name,” and “Anytime At All.” The Beatles established this aspect of rock/pop guitar by incorporating the sound in compositions, not with a few featured solos. I followed the recommendations regarding the strings (flats) and plec. Stunning results on my Ricky! I have big hands and the one 12 string I found that fit really well was a 1967 Harmony hollowbody 12 with d’armond single coils. It had a wide neck that set up beautifully for low action. Hello! 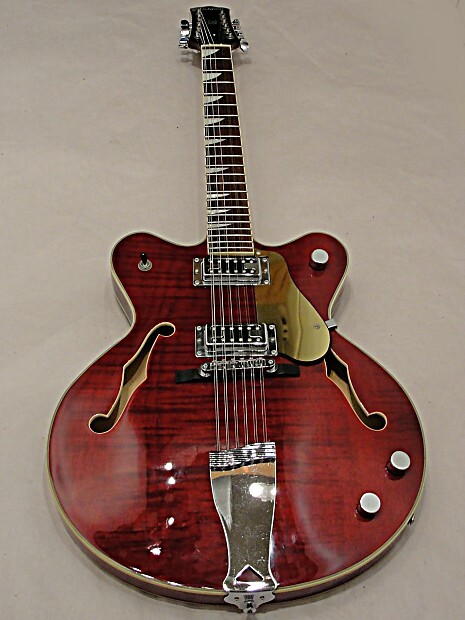 what is your opinion about a Gretsch country Gentleman 6122/12? Can’t wait to play that. I also have a 12 string Strat and an original 60’s Burns 12 string. Your article was very interesting and after playing since 1959 it’s always good to know there are things to learn however May I make a comment on your string terminology. I’m an expat Brit living in the Antipodes and I agree with Pete Townshends description because in all my early days, flat wound strings were always known as ‘Tape wound’ Their windings being made literally from a flat tape usually a Monel Metal coil wound over a central solid wire core. Or over a round wound as a wrapper. There is absolutely no zipping noise at all from your fingers on these strings. Back then you could buy acoustic bronze strings but this tape wound type was about all you could buy for electric guitar in my part of the UK in the late 50’s early 60’s. They were made by a company called ‘Picato’ Probably Italian. Burns of London also made a similar string, wrapped with a black plastic tape but the sound was terrible. Round wound strings, which you are not recommending on 12 string guitars and I agree with your advice, are made from a round section wire wound over a solid central core. What you are advocating is a “Ground Wound’ string. This is not a tape wound string and nothing like it. It is actually a round wound string that has had the surface ground down to flatten the tops off the coils. A nice all round string and I agree best applied to 12 string guitars. If you can still buy real ” Tape Wound” strings, don’t use these unless you play muddy sounding jazz because they have absolutely no ringing bell like qualities whatsoever. The Song Remains The Same….I love Jimmy Page’s use of the 12 string! I’m a huge fan of Jeff Buckley’s 12-string playing. His 12-string sounded so huge in open tuning! 95404 strings are roundwound, the article says roundwound sound like doo doo by flatwounds…. 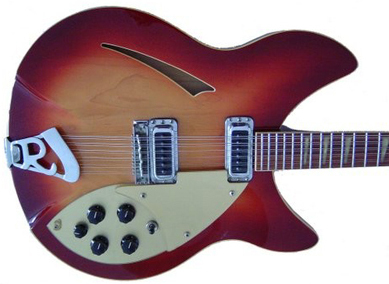 but then recommends the rickenbacker 95404 strings…. did i misinterpret something? can someone just link us to some flatwound 12 string sets? I’ll probably take the plunge and order an Eastwood 12 soon. 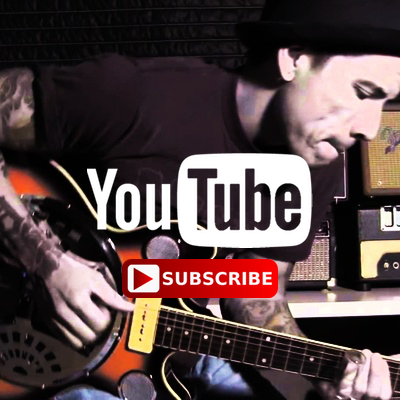 I’m left handed, so the choices out there are limit.d To my ears though, the Classic 12 comes closer to the classic Rick tones we know and love than the Nashville, based on the YouTube demos I’ve seen. One of my all-time favorite 12 string records (and all time favorite bands too) XTC’s English Settlement. The Rick 12 string is all over that one. Very interesting, thanks! Do you tune your 12-string to the standard E-A-D-G-B-E, or do you tune down a step and capo at the 2nd fret? The neck on an acoustic 12-string can break under the stress of standard tuning; wondering if electrics have the same issue. BTW, I just got an Eastwood Classic 12 and I love it! No set up needed. Very easy to play right out of the box and sounds great. i got a Dean Boca about 6 years ago. it was “ok”. it wasn’t a jangle and chime axe, with the stock Dean pickups it sounded better distorted/overdriven. Go figure. 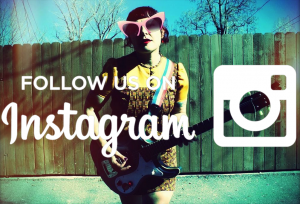 I play my guitars (mostly) thru a Vox AC30 CC2X and a Fender Prosonic (with 2×12″ Greenbacks). thanks for the tip on using flat-wound strings- i’ll try that next time. I don’t understand why you think it’s really important to tell a guitar tech to get the action on the guitar as low as possible. If you’ve brought your guitar in for a set up, that’s exactly what the tech is doing. It’s like telling the guy doing your oil change to make sure he puts the right amount of oil in the car. The tip about using a light pick is dead on. Playing an electric 12 does seem to require a light & controlled approach, even though sometimes one’s first instinct is to play it really hard and heavy. I *love* my Eastwood Classic 12, amazing for the price and the neck is easier for my big hands than a Ric. The strings it comes with are D’addario EXL 150 (regular light 12 string set) and they seem good; I haven’t tried it with anything else yet. The factory setup was outstanding and the intonation is great, although I sort of wish the low E and A strings had individual saddles for the light & heavy strings so I could tweak it into pure perfection. With regard to light picks and Rick 330/12s, that’s spot on. I use the serrated edge of the shark fin pick and boy does that ring and jangle ! ‘Kicks’ wasn’t a 12-string recording, it was done with 2 six-strings overdubbed. ‘the order of strings on a 12 string Rickenbacker’. In most cases it seems, that the octave string is always second to the main string. The picture of that 360/12 looks like that. Just recently I saw it the other way around, tried it, found a little unusual but interesting. What is your experience, recommendation? I’m about to put on Pyramids. I bought my 330/12 in ’94 (built 92’, took a while to get to Munich, Germany:-), still love it. Appreciate the way they are made, great craftsmanship! I usually play it over a Fender Twin Amp and enjoy the clean sounds! In the late ’60’s, Joni Mitchell played an acoustic 12-string, in open ‘E’ tuning as I recall: “Chelsea Morning” era. I use two jangle boxes and it sounds awesome. I believe I got the idea from an interview with Roger Mguinn. Also I am playing an inexpensive Rondo 12 string. It’s one of my cheap guitars collection. All of them that I’ve purchased from Rondo sound and play great. They all need a bit of setup when the arrive but are extremely well made for the money. For somewhat more contemporary 12-string songs, I recommend any Midnight Oil album. Well I own a Rick 360 C63 12 string which is the George Harrison model. it came from the factory with round wound strings. if Rickenbacker thought flat wound strings would enhance the sound of their instruments they woujld equip them that way. The sound with flats is not as bright as round wound and it tends to drop off very quickly so you absolutely need a compressor. jangle boxes are great but they are expensive. if you don t want to lay down 300 bucks for one consider putting 2 less expensive units in series. In closing the 370 Roger McGuinn model is the easiest to play. It by far outperforms the GH model, but they re expensive and hard to find, but once you get past the Byrd tunes and some early Beatles and Tom Petty, boredom sets in quickly. Wonderful reading on the most beautiful guitar sound ever . I grew up listening to the jam . Wow . Two Byrds with one stone . Yeah..like as Dennis says up there…fourth comment from the top 9:th of jan 2014; roundwounds sound doo doo…and the….here you can find roundwounds …reommended!! 95404!?? I have the same question…..and then I see that package have 0.046 and 0.036 as the two thickiest, and here is said that what one should go for…to be like George, Pete and Roger is a gauge set with 0.042 and 0.034 on the thickiest!?? so …it makes some confusion….have to keep on looking on the net for more info then. The #483 set was a light weight flat wound set produced for Rickenbacker by Maxima Strings in Geretsreid, Germany. The company still exists but it’s completely different ownership, different strings, and they specialize in fishing line now. The #484 set was a very lightweight, round wound set produced by V.C. Squier Co. of Battle Creek, Michigan, at the that time time far and away the largest OEM supplier of guitar strings to the industry. The flat wound set was characterized by having a small core wire surround by compound windings of very soft flat wire. The small core kept them really limber, while the flat outer wraps had great mass to allow the string to come to pitch without much tension. The #484 set, being round wound, was a much brighter sounding set and was of the variety termed “slinky” in that era. Both Harrison and McGuinn began to experiment with this set during the summer of 1965. I have no direct knowledge of what strings John Lennon used, although I have reason to believe he initially used the Rogers brand strings from Germany, a round wound set characterized by having different colored silks for each string. I really hate to mention it but there’s some really totally unsubstantiated marketing baloney out there about who used what strings when. Here is more scientific examination of tension around a Rickenbacker 360 with different gauges; since a Rick´ like this are fragile and sensitive to such things it might be important. I´m no expert how to read this information, but maybe you can get something out of it. In the down of that page there are diagrams and such where comparison is made. Unfortunately, TI doesn not sell 12-string sets, so you have to order ’em seperately from Juststrings.com. This is very true, unfortunately, and as I said in another thread, they don’t seem inclined to cooperate. On my ’66 330/12, I use Tetrahedron Gold flatwounds. Tetrahedrons are supposedly exactly the same as ’60s flatwounds (materials and construction), and rumor has it that’s what the Beatles used. This is the crux of our beef with this firm. The construction of the strings is VERY different than our original Maxima’s, which anyone can feel instantly. The Maximas were not stiff at all, very slinky by comparison, due to a very small, pliable core wire instead of a larger stiffer one. So much for the same construction. I’ve also torn apart a number of strings and photographed them to show the significant differences but simply haven’t had the time to publish these- but I will someday soon. I also strongly dispute the usage of those strings by the Beatles, given the number of strings we and others provided them and also based on information from the various handlers. It’s probably likely that they were used on Paul’s Hofner bass given the association between those companies, but I know for fact that his Rickenbacker has always been strung with Maximas as long as he’s been able to obtain them. This was a great article and discussion. For all those wanting a MASSIVE playlist of electric 12 string songs, I have made one on youtube that continues to grow and grow. As of now, there are 80+ songs mostly from the sixties but a few newer ones as well. This was a very helpful article and you folks’ comments were informative and encouraging as well. I just picked up a Rickenbacker 370/12 RM and have begun my journey. You guys have educated and entertained me for over an hour. I have owned my 330/12 for close to 30 years. String choices? Never thought about it. Jangleboxes? Don’t care. The guitar has been with me longer than than my wife. She is not for sale, either. Thanks , great info. check this out. Noel Gallagher used a twelve to good use on a regular basis; a very underrated guitarist. OASIS forever! Noel Gallagher used ricky 12s to great affect on many a track; very underrated guitarist. OASIS for life! I have two left-handed 12 string guitars, an Eastwood Sidejack Deluxe, and a Burns Double-Six (which is almost impossible to find as a lefty). The Eastwood has Pyramid strings, and really gives me that Byrds & Beatles ‘jangle’, with or without a compressor. The Burns (Rickenbacker strings)give me the softer sound of ‘Needles and Pins’, by the Searchers, and with three pickups plus a coil tap, has several different voicings. I love them both…both much easier to play than a Ricky, if you have larger fingers. I have two lefty 12 strings…an Eastwood Sidejack Deluxe, and a Burns Double Six (almost impossible to find as a lefty). Both have flatwound strings. The Eastwood delivers the classic Byrds/Beatles jangle in spades. The Burns has a sweet, lighter sound, and will give you a more subdued set of tones, like ‘Needles and Pins’, by The Searchers. Me and my big fingers prefer these guitars to the smaller fingerboard of a Rickenbacker. I have a Eastwood Nashville XII and a Schecter Diamond Series XII. I use the original Jangle Box as a compressor and flat. I also have an acoustic Simon & Patrick XII string which was a remarkable value considering it’s great sound. Thank you for the article… Eveything you said about the Nashville XII is true. Just a wonderful instrument. I had the same inspiration on 12 string as the David Love, but I have to add Tom Petersson from Cheap Trick to the mix. Tom inspired me to get into 12 string bass guitar and I’ve been playing those since 1986. 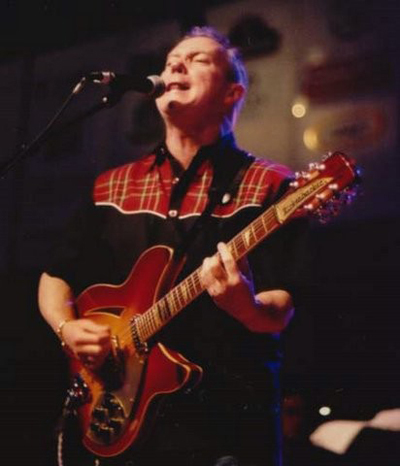 I had the pleasure of seeing one of Roger McQuinn’s solo shows, great player, great sound and nice to talk with. If you get a chance to see him and hear his stories it’s well worth it. Like David Love stated about strings, I used flat wounds on my 12 string bass to help keep the high chime down for several decades. The other great part about 12 string bass is flipping playing style from down picking to up, so you can let the octaves rip with their awesome sound at anytime. Many tunes I play now, in the one guitar player band I’m in, I fill in on the rhythm part by using the 12 string bass playing guitar style when needed. Especially on Tom Petty tunes. Like many peoples “The one that got away stories” the only 12 I tried to buy, back in 1985 never made it into my hands. I had the money set aside for a Ric 6/12 (366/12) with the odd comb piece. I always thought those were so cool. Ax In Hand in DeKalb, IL found one for me. The day I got the call about the guitar, priced at 1000 back in 85, my car engine stuck wide open on the trip home from work and blew up. All that money went to a car engine and I lost out on the guitar purchase. Someday I may get lucky enough to find one again, but it won’t be for 1000. Great article and love 12 strings on guitar and bass. The Gin Blossoms used them well and so did The Plimsoul’s Peter Case, who is a killer player. Finally, you must her Leo Kottke’s 6-12 String guitar release. That is some crazy playing on a 12 string, although it’s acoustic. Leo is just great. How can you talk about 12 string tone and not mention The Church? !